Cloud28+ is the world’s largest independent community, promoting cloud services and knowledge sharing. It serves end customers, cloud service providers, solution providers, ISVs, systems integrators, distributors, and government entities dedicated to accelerating enterprise Cloud adoption. 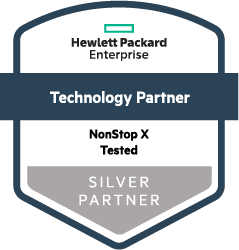 Cloud28+ is a community of trusted HPE partners and a business platform for learning about and finding the right mix of hybrid IT solutions. Cloud28+ is made up of partners around the globe—innovating together, learning from each other, and accelerating new business. ​Bluefin is a payment security company that provides the leading security platform supporting payment gateways, processors and independent software vendors (ISV’s) in 29 countries. Bluefin’s secure payment platform is key to a holistic approach to data security. Designed to complement EMV and tokenization, Bluefin’s PCI-validated Point to Point Encryption (P2PE) solutions provide a solid security defense against current and future data breaches. Bluefin supports point of sale solutions for retail, mobile, call center and kiosk/unattended environments, and secure Ecommerce technologies. ​Founded in 2006, Polar Moment has an excellent track record of delivering software development and consultancy projects for a range of domestic and international clients. Polar Moment works with several of the world’s leading organisations for whom we design, develop, support and host applications. Our experienced team, working to ISO9001:2015 processes has the experience and passion to make your development project succeed. Polar Moment are also payment industry specialists, helping your business deliver its business, operational, and technical goals. Our services range from mergers and acquisition due diligence, business and operational development, compliance and specialist training, through to technical services covering payment system software development, implementation and production operations.